Being organized improves focus, increases motivation, and helps overall productivity. Stop searching for lost post-it notes with scribbled addresses and passwords. 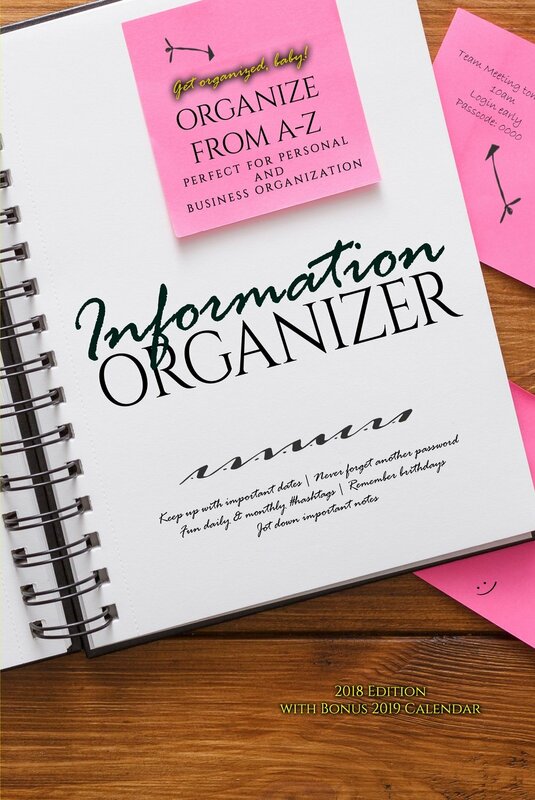 With the Information Organizer, you can keep essential information and contacts, including vital information about your family or other data needed in an emergency in one easy to reference source. The Information Organizer includes a list of all US area codes, 2018 and 2019 calendars, 2018 holidays (federal, observed, and state), 2018 #hashtag days and holidays (great for fun and posting on social media), dedicated note pages, and a birthday calendar.